Ayurveda beckons Lavender as a Medhya herb for its exquisite and energizing ability to empower the mind and stimulate the brain functions. It has been proven to treat anxiety, irritability, migraine, low self esteem, insomnia, nervousness, anger, stress, palpitations, loneliness and the feelings of being neglected. It is a spectacular flower variety that is held high for owning 167 proven medicinal uses says author Susanne Fischer Rizzi and the popular Ayurvedic book ‘Ayurveda and Aromatherapy’ states that Lavender is the most important oil to have in the first aid kit especially during traveling. This oil has such a magnificent, mind-blowing, magical and mystical fragrance within it to splash our senses with a never before energy. Lavender and its essential oil is used in Ayurveda for reviving the senses, harmonizing the mind, curing numerous illnesses ranging from burns to boils, headache to high blood pressure, insomnia to irritability, stress to skin disorders and for balancing the entire human system. Indigenous to the mountainous regions of the Mediterranean areas, Lavender is also grown throughout the world including the United States, Australia, Southern Europe, France, India and other parts of Asia. You would be amazed if I say that the name ‘Lavender’ was extracted from the name of a Latin root ‘Lavare’, which carries the strong meaning ‘To Wash’. This is more than enough to claim that Lavender is the perfect herb and its essential oil is the ideal solution for cleansing the mind, body and the ailments allied with them. Lavender and its enriching essential oil have it’s roots deeply vested in the historic healing of human beings. It has been in use for more than 2500 years for it therapeutic, culinary and for beauty benefits in the cosmetic and personal hygiene industry. Lavender oil and the herb as such had traveled all over the world and was almost used by most of the prominent groups like the Egyptians, Romans, Phoenicians, Europeans, Americans, Arabians, Australians, Asians and people in other parts of the world. According to De Materia Medica, Dioscorides, the renowned Greek physician suggests the use of Lavender for treating the ‘grief’s of the thorax’ and for relieving headache, sore throat, indigestion, burns, wounds and other skin problems. Famous herbalist Maude Grieve recommends Lavender as an excellent nervine and carminative. She also states that this herb assists in treating memory loss, snake bites, depression, headache and fatigue. According to the Gas chromatography report, Lavender oil constitutes of 16 chemical components that contribute to the aroma, therapeutic values, consistency and quality of this essential oil. Of which, Linalyl acetate contributes to the highest percentage of Lavender oil constituents with about 36.8% of the total composition. Just click on Linalyl acetate, Linalool, Camphor, 1, 8-Cineole and Lavandulyl acetate for getting to know the exclusive information about these prime constituents of Lavender oil. Each and every component contributes to the various attributes and remedial properties of Lavender oil. The table crafted below clearly depicts those special contributions to the healing magnificence of Lavender essential oil. 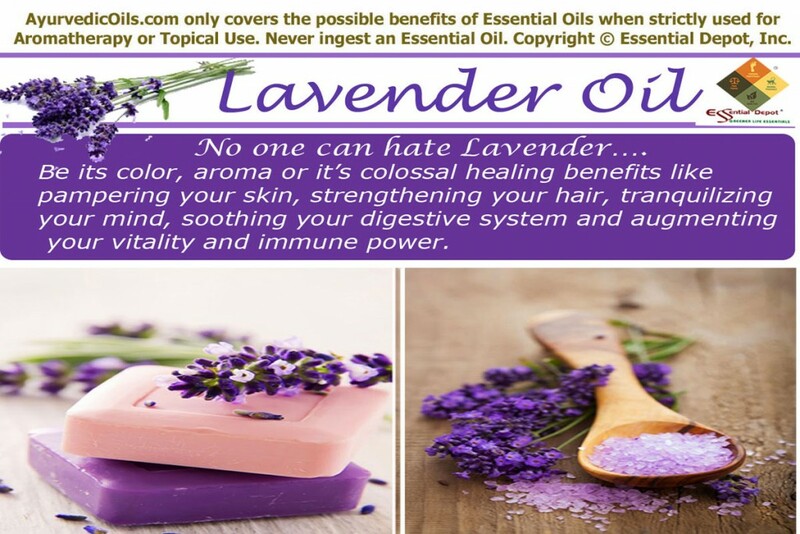 Lavender can be called as an elixir as it has immense remedial properties. The most prominent among them are anti-depressant, sedative, antiseptic, nervine, bactericide, analgesic, sudorific, antiphlogistic, cicatrisant, emmenagogue, decongestant, deodorant, anti-inflammatory, carminative, anti-spasmodic, rubefacient, cholagogue, vulnerary, hypotensive, antiviral, cytophylactic, anticonvulsant, hormonal balancing and diuretic properties. Ayurveda is the oldest of all healing systems on earth and is engaged in addressing the health concerns of human beings for more than 5000 years. Ayurvedic healing aims at longevity by focusing on prevention of illnesses by maintaining a healthy lifestyle, practicing an Ayurvedic routine, yoga, meditation, simple physical exercises and using of natural remedies like herbs and essential oils for treating illnesses. According to Ayurveda, sickness is an opportunity to know the imbalances of the body with nature and to know the actual root cause of the illness. This noble science suggests and trusts in treating the root cause of a disease instead of diagnosing the ailment alone. Treating individuals instead of diseases is the prime factor that makes Ayurveda superior than other contemporary medicinal practices. Everything that is a part of nature and that which is believed to heal humanity falls under Ayurveda as it is the ancient medicinal science existing in this world and has its age double the times of Lavender. Ayurvedic philosophy states that every human being is distinctive with a unique individual constitution, which is made up of three vital biological energies known as doshas. They are vata, pitta and kapha. 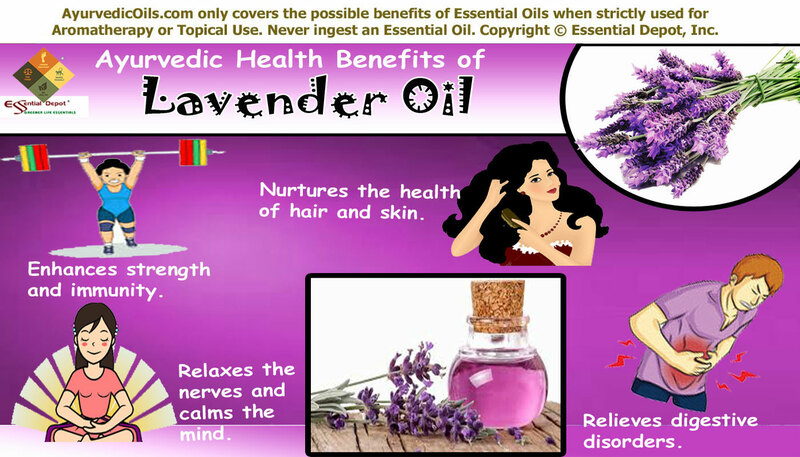 Lavender essential oil is beneficial for all the three constitutional types of Ayurveda. With its extremely soothing, calming, cooling and tranquil energy, Lavender essential oil pacifies kapha and pitta doshas and aggravates vata dosha. Ayurveda considers Lavender essential oil as the chief oil in assisting and strengthening the immune system by protecting the body from harmful virus and bacteria causing ailments such as flu, cough, cold, fever and many other infections. Lavender oil is trusted to enhance prana or the vital life force, which in turn increases the body’s natural disease-resistant ability and the mechanism of fighting against harmful microbes and pathogens. Gently massaging 2 drops of Lavender essential oil mixed with 1ml of Jojoba oil in the upper part of the sternum, over the heart and the thymus gland is said to uplift the vital essence known as Ojas in Ayurveda, which is completely responsible for vitality and immunity at all the levels of the body. A 2010 study on ‘Chemical Composition of Lavender Essential Oil and its Antioxidant Activity and inhibition against rhinitis-related bacteria by Lu Hui, Li He, Lu Huan, Li XiaoLan and Zhou AiGuo’ proved that the presence of about 47 compounds in Lavender essential oil exhibits potent antioxidant effect against lipid peroxidation in a linoleic acid model system and extensive activity against bacteria like Escherichia coli, staphylococcus aureus, proteus vulgaris and micrococcus ascoformans. This study also stated that Lavender oil can be used as a potential natural remedy in treating rhinitis patients. Lavender essential oil is an admirable skin-friendly oil as the topical application of this oil treats skin disorders like psoriasis, cuts, burns, abrasions, itches, eczema, rashes, acne, pimples, athlete’s foot, sunburns, wounds and acts as a good mosquito repellent. For being gentle and effective on the skin and hair, Lavender oil is called as Twachya, keshya and kusthaghna, where Twachya is the natural skin remedy for augmenting the health of the skin by nourishing the cellular structure; keshya is its ability to foster hair growth and boost the strength of hair follicles and kusthaghna for its potent to heal and treat various skin conditions. It is also called as Sookshma and Teekshna, for its potent to penetrate through the tiny channels of the skin, thus upkeep the damaged skin cells. All you need to do to regain your skin health is to apply 2 drops of Lavender oil blended with 1 ml of olive oil and apply it on the affected area or massage gently for visible results. You can also add 2 drops of this oil in your regular skin care cream or body lotion and use it daily for protecting and pampering your skin. Ayurvedic Physicians and the contemporary Dermatologists suggest the use of Lavender essential oil for treating numerous skin problems including acne and few other bacterial and fungal infections. Lavender essential oil has anti-fungal, antibacterial and antiseptic properties that assist in inhibiting the growth of bacteria, fungi and other micro organisms responsible for acne and other skin problems. Lavender essential oil is also an effective remedy for treating hair problems like hair loss, baldness, lice, nits and dull hair. With the combination of few other curative essential oils like Rosemary, Lavender oil has been proved to promote hair growth in a study conducted with 86 people, who were affected by an autoimmune disease known as Alopecia areata. 5 drops of Lavender oil mixed with 3 drops of Rosemary oil and 5 ml of Almond oil when massaged onto the scalp assists in strengthening the hair follicles, promoting the growth of hair, preventing hair fall and nourishing the scalp. Lavender is certainly an excellent remedy for treating fear, fatigue, anxiety, stress and depression. The soothing aromatic molecules of this oil penetrate the mind and body through the nasal passages and reach the Limbic system, known as the control center of the human body. With its anti-depressant, hormonal balancing and sedative properties, Lavender essential oil is proven to ease stress and induce good sleep by checking the health disorders related with insomnia. 3 to 4 drops of Lavender oil blended with 2 ml coconut oil or sesame oil can help in soothing the senses, calming the nerves and granting peace to the mind and body. You can also add 2 drops of Lavender oil to warm bathing water for promoting peaceful sleep and alleviating stress and fatigue after a tiring day. Lavender essential oil is used in various Ayurvedic treatments and the most prominent among them is Shirodhara, which is a celebrated oil-dripping treatment in Ayurveda with the use of medicated sesame oil with herbal values. 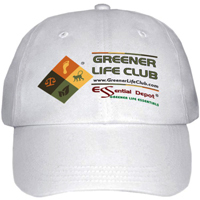 It is proven to induce an altered state of consciousness (ASC) and anxiolysis. According to a 2008 research by the University of Toyama, the use of lavender essential oil along with sesame oil in Shirodhara treatment proved to have a positive pharmaco-physio-psychologic effect, where the relaxing effects of lavender essential oil transferred through the olfactory nerves was proved to improve the entire condition of the system. It also witnessed a significant result that Lavender Shirodhara is better than the normal one and the intricate pharmaco-physio-psychologic feat in Ayurvedic treatment is a constructive model for pharmaco-physio-psychotherapy in the future. Lavender essential oil augments the pranic (vital life force) energy, while steadily supporting the functions of the respiratory tract also. Massaging your abdomen with 2 drops of Lavender oil blended with 1ml sesame oil aid in promoting the secretion of gastric juices, bile and other digestive enzymes. By this way, Lavender essential oil regularizes the process of digestion and absorption. It also helps in treating flatulence, diarrhea, colic, vomiting, stomach pain and indigestion. An aromatic bath with 2 to 3 drops of Lavender essential oil can promote blood circulation, treat depression, anxiety, fatigue, restlessness, respiratory infections, urinary infections, bladder problems, whooping cough, nasal congestion, migraine, panic attacks, asthma, muscle soreness, headache, joint pain, bee stings and many other problems. Lavender essential oil with its innumerable health benefits is a must-to-have oil in your medicine cabinet and a drop of oil added to your handkerchief or worn on your wrist everyday will rejuvenate your senses and give you a never before freshness, clarity of mind and absolute peace. This article is only for educational purposes and is not in any way meant to be used for diagnosis or as a substitute for any prescribed medications or the professional advice of your Doctor. We, at Essential Depot are not healthcare experts and this article is written only with the intention of sharing the ancient wisdom of Ayurveda. Essential oils are meant for topical use only and not for ingestion, as pure and organic essential oils are the life force of plants and are highly concentrated substances. Seek the advice of your Ayurvedic expert or healthcare professional before choosing the appropriate essential oils for your state of health and unique individual constitution. 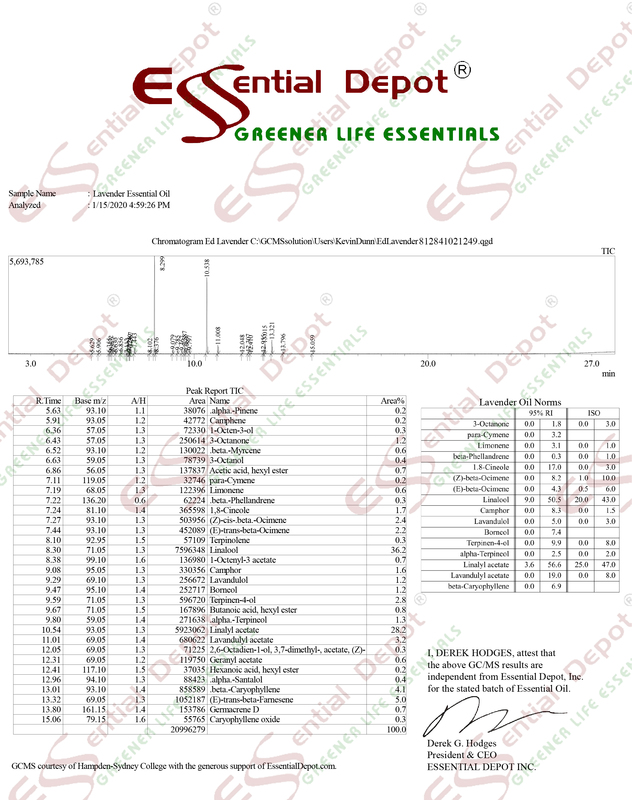 The MSDS (Material Safety Data Sheet) of Lavender oil is readily available for your enhanced safety and superior usage. 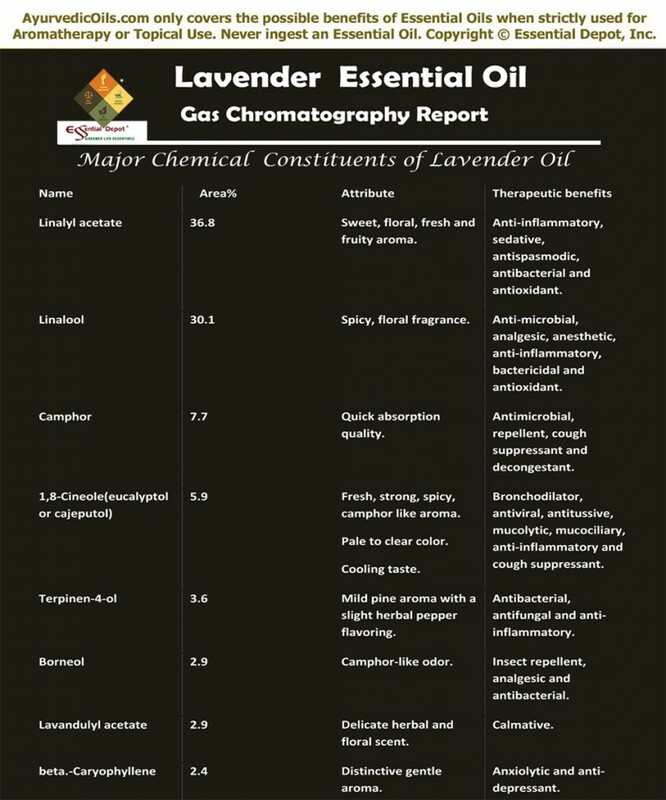 Gas Chromatography Report (GC) of Lavender oil.